Not looking for Wedding decor, click here for Events. To submit a question, request more information, or for comments, click here. HERE AT MICHAEL ALLEN'S WE ARE COMMITTED TO GIVING YOU THE MOST FOR YOUR MONEY. THE MOST FLOWER WITH THE MOST QUALITY. WE ENCOURAGE YOU TO STOP BY AND VISIT US SO THAT YOU CAN SEE FIRST HAND WHAT WE HAVE TO OFFER. WE ARE A "FLORAL SPECIALTY SHOP"; WHICH MEANS THAT WE SPECIALIZE IN FRESH FLOWERS. WHY SETTLE FOR WHAT EVERYONE IS GETTING, LET US CREATE SOMETHING SPECIAL FOR YOU. WE ALSO RENT ANY ITEMS IN OUR SHOWROOM SUCH AS IRON CANDELABRAS, ARCHES, COLUMNS, CENTERPIECE STANDS, ARTIFICIAL ARRANGEMENTS AND MORE. Don't forget to call us and ask about our 2017 Wedding Specials. 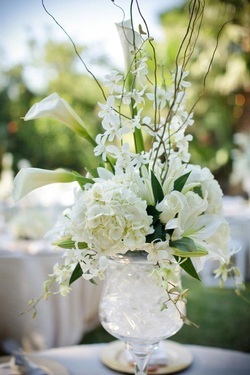 Packages starting at only $950.00 (includes flowers for your Ceremony, Wedding Party and Reception).